Photo (seated left to right): Child and teen therapists, Aldina Paasch and Krista Shabtaie. Adult and couples therapists, Jennifer Korycanek and Jesse Daso. Clinical Psychology Associates is excited and proud to open their new office in Waukesha! We are located on Grandview Blvd (2312 N Grandview Blvd) just a minute south of I-94. 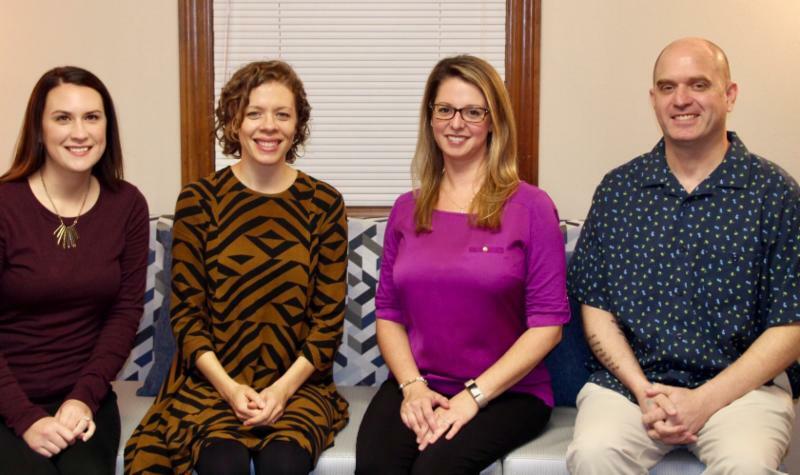 We are staffed with four new therapists who are ready to bring the same level of care and expertise that we have at our flagship office in Menomonee Falls. We could not have asked for a more competent staff to launch our Waukesha office. With these four therapists, we are able to cover all the main specialties areas currently offered in the Falls. Follow the link below to read their bios, and feel free to contact each therapist via email or voicemail. If you have any further questions, please contact clinic director, Paul Hamilton, PhD, at DrHamilton@wi.rr.com.